In the village of Seelaippandal, a Dikshidhar was doing puja in the house of one T.S. Jagadeesa Iyer. He was considered as a “Guru” and the people in the house showed immense affection and regard for him. But because of his past karma, the thought of dishonesty grew in him. On two occasions he stole a hundred rupee note and a gold necklace weighing 8 sovereigns from the house and buried the same beneath the sanctum of the village deity. Three months elapsed. Even though a thorough search was conducted in the house, the lost articles could not be found. Jagadeesa Iyer used to reside at Sannidhi street in Tiruvannamalai and when he had work visited Seelaippandal by horse drawn cart six miles distant. Once when he was on his way to the village, Sri Seshadri Swamigal asked if He could accompany him in the cart. Jagadeesa Iyer replied “This is Your vehicle. Please get in and we shall go”. On the way Jagadeesa Iyer mentioned to Swamiji about the theft in his house. Swamiji replied that the stolen articles would be found that day. 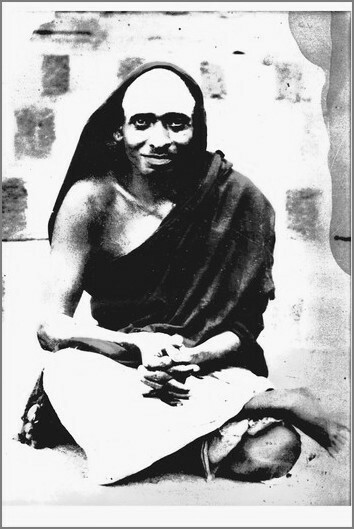 As soon as they reached Seelaippandal, Swamigal said, “The thief is in your house. The thief is in your house. There is a dog. I am leaving” and with these words He hastily left the house and returned to Tiruvannamalai on foot. After Sri Seshadri Swamigal left Seelaipandal, the village officials gathered at Jagadeesa Iyer’s house and disclosed that the Dikshidhar had been seen digging at the sanctum of the village deity and it looked suspicious.Then they persuaded the Dikshidhar to come and made him confess. The entire village crowded near the temple of the village deity. The Dikshidhar called, “O! Goddess! Even though I had taken refuge under You, You betrayed me! See what I will do to You”. He then tore the idol from its foundation and retrieved the cash and jewellery that had been buried underneath. Jagadeesa Iyer was content that his stolen property had been returned.